Experience life at its fullest. In Villa de Kestrel, it is imperative for our guest to feel at peace while staying here with us. Let us serve you and provide you a meaningful time with your colleagues, your friends and your family. Feel free to communicate with our staff both on-site and online, we are here to help you. Villa De Kestrel is located on the peaceful part of Koh Tao. Our villa is fully equipped, furnished and decorated with a modern design. We provide our guest with independent suites, panoramic view of the sea, fully equipped kitchen, quality dining room, recreational area, 42-inch TV with Netflix, free 50 MB/s high-speed Wi-Fi, and recreational services. 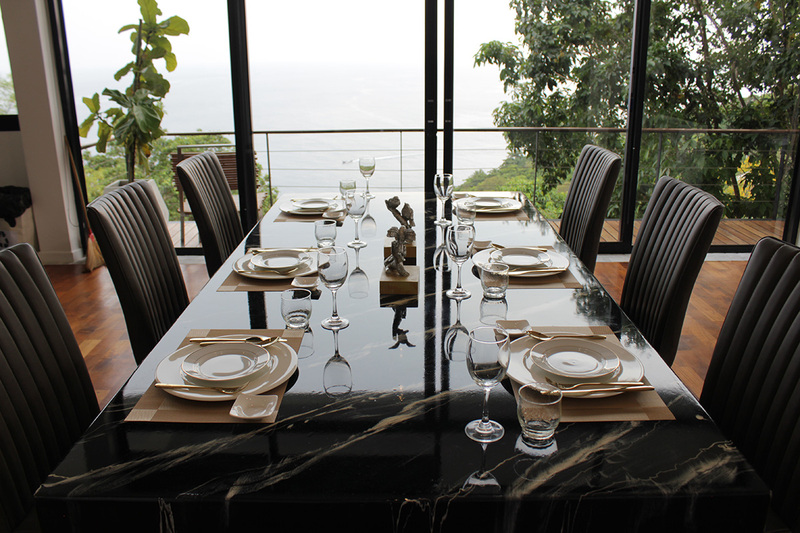 Our property is approximately 1,200 square meters, plenty of space to accommodate your family and friends. Our 70-meter terrace welcomes you with a beautiful sunrise. Of course, we got two infinity-edge marbled swimming pool to cool down after exploring the island. The villa is about 200 meters from the shore and 3 km away from Beachesaow Leuk And Tanote Bay. We partnered with New Heaven Dive School to introduce our guest to the underwater world. Our selected dive school has conservation programs for Koh Tao’s marine life, and you have the chance to participate for a good cause . If you are new to diving, there are multiple beginner courses for you. New Heaven Dive School is SSI certified dive school, and they have been operating since 1995. We are glad to partner up with a school that is dedicated to bring value to the environment. Let us know if you want to scuba dive, so we can schedule a course for you. 52/35 Koh Tao, Koh Phangan, Surat Thani, Thailand, 84360.